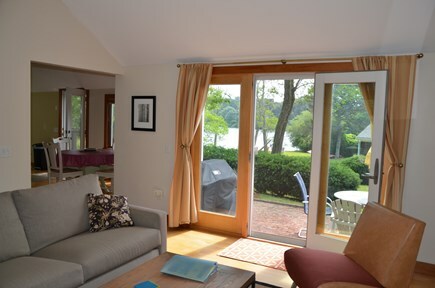 Beach: Cottage is right on the pond! 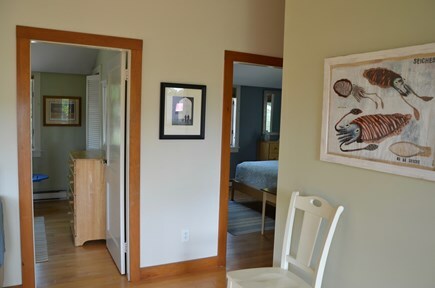 Contemporary cottage with Cape Cod charm is right on Depot Pond in Eastham! 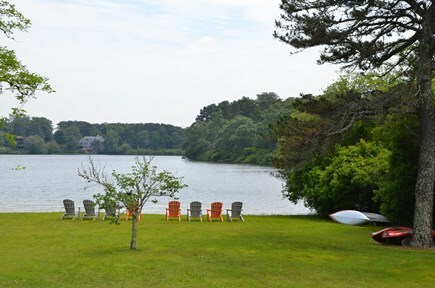 Beautiful pond views with great swimming and kayaking. 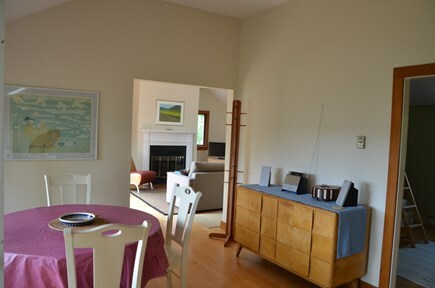 The home sits on 1 acre of grassy land on a quiet road, with private pond access. 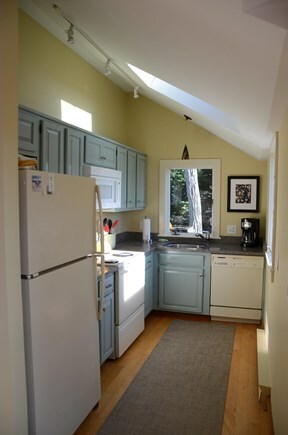 Maple wood floors throughout, vaulted ceilings, skylights, natural sunlight streaming in with pond breezes, full bathroom, fully equipped kitchen, and an outdoor shower. Beautiful National Seashore-protected bike path access is just around the corner from the cottage. Take a 20-minute bike ride on the bike path to Coast Guard Beach on the Cape Cod National Seashore, or to First Encounter Beach on the bay side. 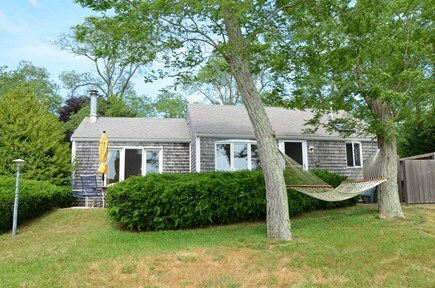 This is a terrific location, within 2 miles to all Eastham beaches. Convenient Eastham Superette is just down the street within walking distance. Major grocery stores and restaurants are within 2-3 miles. 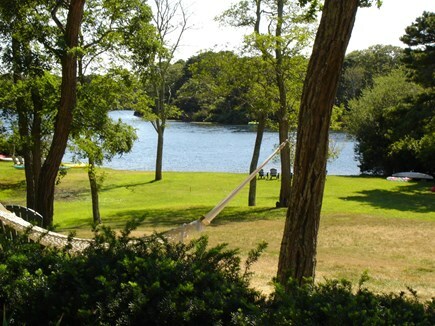 Enjoy fishing and whale watching, and beautiful golf courses in surrounding towns. It's a 10 minute drive to the Wellfleet Drive-In and Cinemas. Only 35 minutes to Provincetown, and 10-15 minutes to Wellfleet. 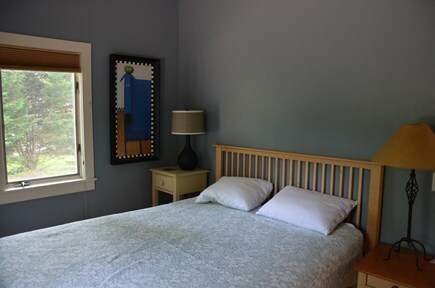 This ia a well-maintained, year-round cottage with heat for fall and winter getaways. Call about our off-season rates. 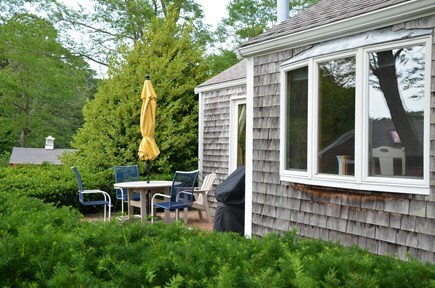 Nearest beach: Cottage is right on the pond! 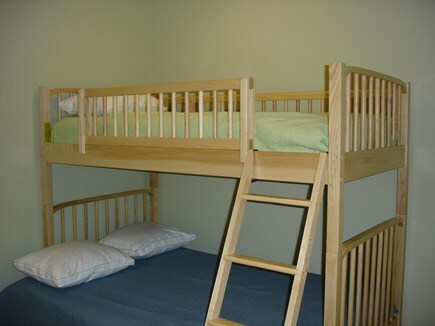 Additional pricing info: ***SEPTEMBER SPECIAL: 2-person maximum occupancy: $1,275/week, State and local taxes of 12.45% will apply.